The 2016/17 Real Madrid Third kit features a striking black colorway with purple accents similar to the colorway used in the 16/17 away jersey. The pattern on the sleeve resembles the victory route that the team takes when they win a trophy, from Santiago Bernabéu Stadium to the fountain of Cibeles. The 2016/17 Third kit is now available in The Soccer Shop in adult and youth sizes. The 2015/16 Real Madrid home kit features the classic white colorway, but now with silver detailing. "White symbolizes that each new season is a blank canvas on which to capture success. Past triumphs are history, what matters is in the future: winning new victories and being better in every game." The jersey is composed of a new cotton material for this season, keeping the same functionality and performance standards as previous seasons, but adding a more casual and urban look to the garment. A rounded crew neckline and folded sleeve effect finish off the design of the new jersey. 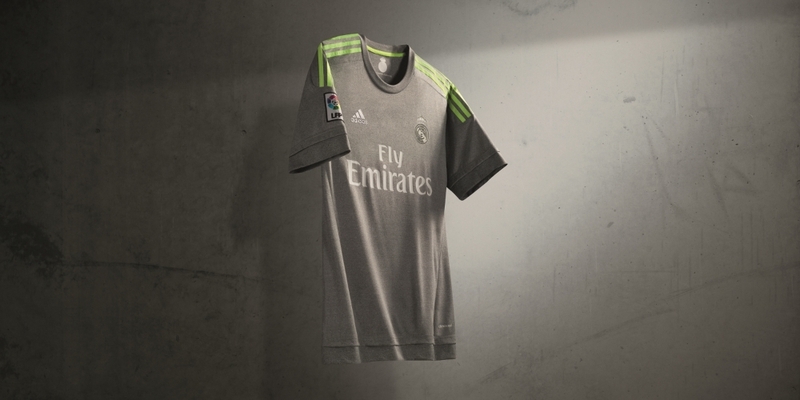 The away kit features a new understated grey colorway with bright green and white detailing. There is a metallic tone to the grey, symbolizing the numerous silver championship trophies that Real Madrid has won throughout the club's storied history. 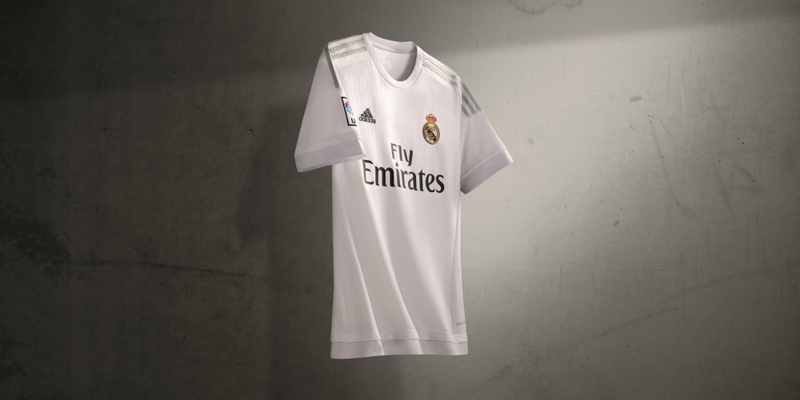 The 2015/16 Real Madrid home and away jerseys will be available in The Soccer Shop in adult and youth sizes.